Parent Immersion Visit | Welcome to Explorations! 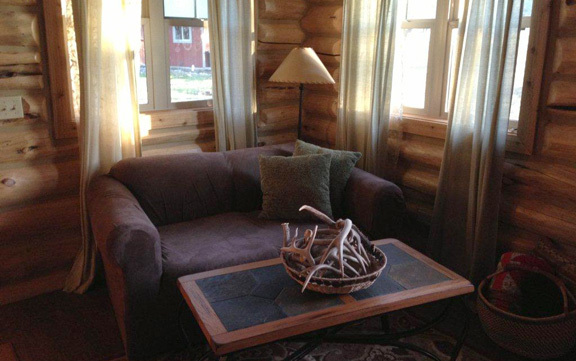 Our Denman Cabin is available for family members to participate very uniquely in the day-to-day happenings at Explorations during a visit to see their son or daughter. We discovered over the years that involving parents and family members in our household directly gives them opportunities to witness the ups and downs – the challenges and rewards – of a family unit first hand. In this "live" classroom, parents may practice parenting techniques in a hands-on, supported way. Immersion visits provide the perfect bridge experience for families prior to their child's first visit home or to familiarize themselves with the Explorations approach. 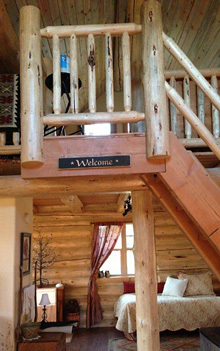 The Denman Cabin is a 750 square foot quaint mountain retreat for "live-in" parents or other family members. 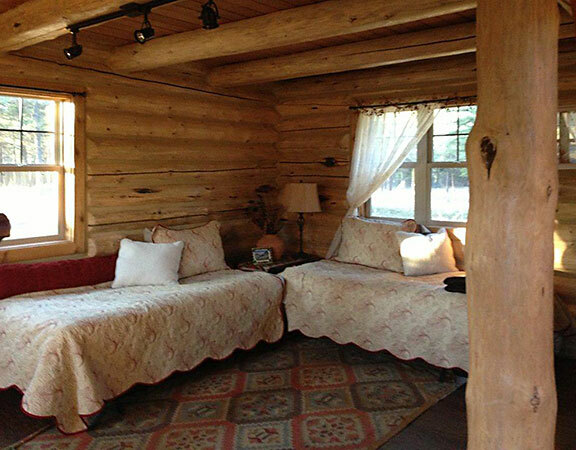 Situated just 100 yards from the main residence, the log cabin sleeps four with a full bath, loft, fireplace, and sitting porch. Laundry facilities are available and meals are shared in the main house with the family. HomeBase students assisted in the construction of the Denman Cabin as well as the adjacent campfire pit and seating area. Visitors may be immersed in daily activities or be provided a beautiful private space in which to spend quality time with their child.